Students are notorious for being broke or short of cash. But how can you budget that little money that you earn from your part-time and weekend baby-sitting jobs to ensure that you make it to the end of the month? This week we take a look at budgeting and how you can stick to it! 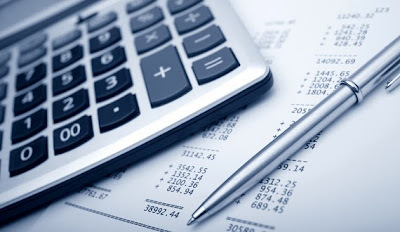 A budget is a plan that you put together to account for your income and expenses. This means that you plan your money so that your expenses do not exceed your income and that you can reach your financial goals – whether they include saving for a car or anything else. If you stick to your budget, this can be a very important tool to make sure that you get to the end of the month without having to worry about your pockets being empty at the end of the month. Make a list of all the income you receive in a month. This includes pocket money and any other money you receive from odd part time jobs as well as from any bursars. You can also include your study loan amount, since you will have to deduct your expenses from this as well. Make a list of all your expenses. Include your tuition fees, cost of textbooks, any study equipment you might require, your accommodation costs, the money you require for food as well as traveling expenses. You can also plan any expenses that might come about in the month like any birthday presents you might need to buy, maintenance costs on your car or even just holiday pocket money. Take the list of your expenses and prioritise them. This is important because you might have to exclude something from your budget in the first month and make provision for it in the next month when you have less important things to budget for. Once you have made your list of expenses and marked the most important ones, you can deduct your expenses from your income. Make sure that you are not in a negative balance. If you are in a negative balance, you will have to revise your expenses to ensure that you can pay for the most essential things. Try be as realistic as possible. If you are realistic, it will be much easier to stick to your budget. Check in on your spending every now and then throughout the month to make sure that you are well within budget. You can visit our website to use our budget calculator. This will help you establish a basic budget. Remember that your budget might change from month-to-month and that you will have to keep your calendar in mind when you plan your budget.